The Missouri Legislature is very close to bringing the power back to the people when it comes to education policy in the state. According to EAGNews.org, both chambers have passed a bill that would end Common Core in The Show Me State. Now, all that stands in the way of sending the bill to the governor for signature is one final committee approval. “The goal is to give the schools that have invested a lot of time preparing for what Governor Nixon obligated them to a graceful way out, while stopping CC in the long run,” Missouri First’s Ron Calzone said. 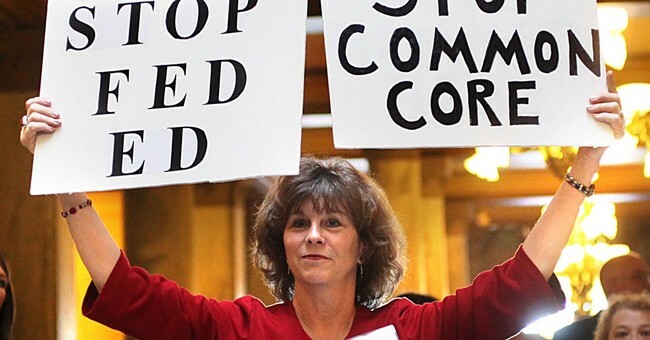 Missouri is leading the resistance to Common Core, unlike other states such as Indiana, which passed a bill to “opt-out” of the Core, while implementing a state requirement to use virtually the same federal standards in order to continue receiving federal funding. Largely unbeknownst to the American public, Common Core gives the feds the power to collect all kinds of data from children including Social Security numbers, blood type, records of school attendance, supposed learning disabilities, religious affiliation, disciplinary records, parents’ income information. The curriculum also eschews classic literature in favor of drab, government technical manuals. Let’s hope other states will follow Missouri’s lead sooner rather than later.